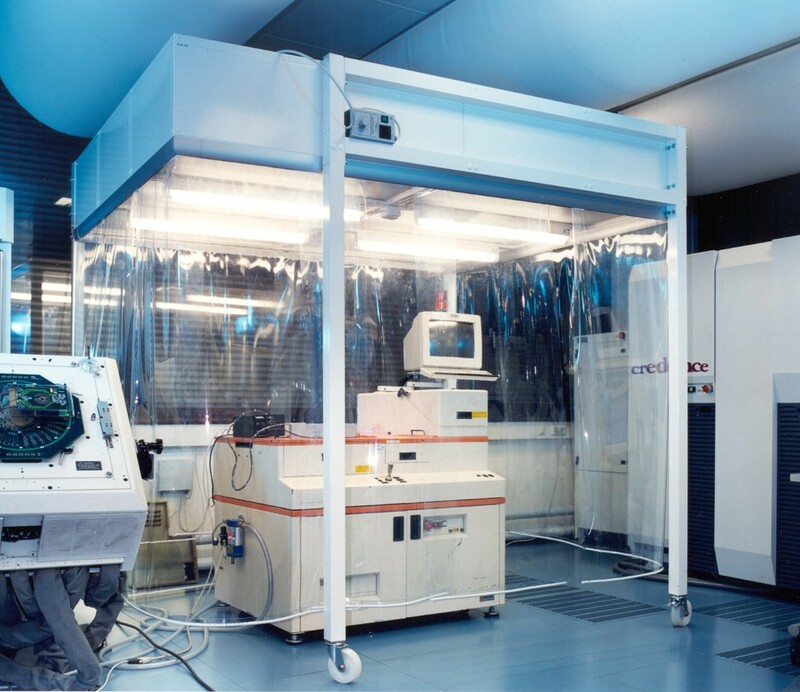 Clean room environments impose sanitation constraints diametrically opposed to the basic construction of noise control materials and systems because of this we have special Healthcare Acoustics. Clean rooms require washable, cleanable, dust and fiber free Healthcare Acoustics. 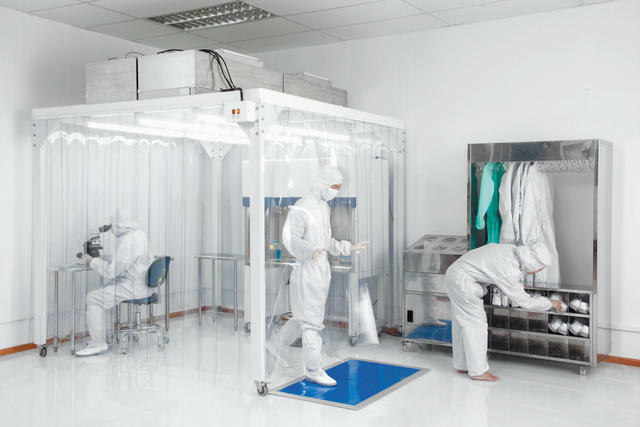 Clean rooms usually are designed with hard and reflective floor and wall treatments, which create a high level of reverberation or echo leading to poor speech intelligetability within the clean room. 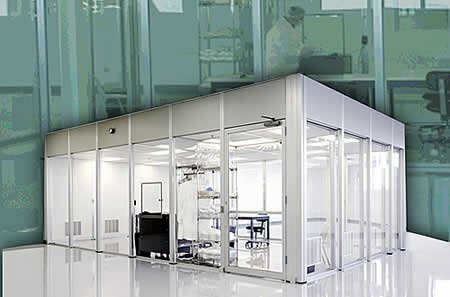 There are several acoustical products and supplies that can be used in clean room design to reduce noise from equipment to create a better working environment. 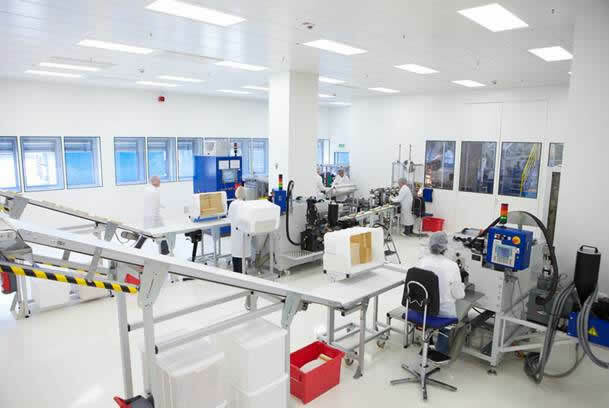 All Noise Control offers clean room class 100 to class 1000 approved acoustical foams, wall panels and ceiling tiles that can be used with your clean room design to help soundproof your equipment. 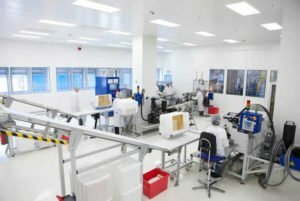 The following set of products have all been approved for soundproofing use in clean room settings, kitchens, food processing plants, pharmaceutical plants, and any other venue that requires clean room approval. -Baffles reduce the reflection of sound waves by adding soft, porous, open-celled materials to an environment. These USDA approved baffles are a durable and virtually rip-proof method of adding sound absorption to Healthcare Acoustics areas. 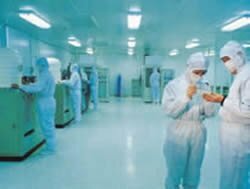 – fiberglass panels encapsulated in a rip stop polyester skin, approved for use in food processing, clean room, kitchen and laboratory settings. Ideal for absorbing unwanted sound reflections in most any clean room setting. – Clean Room Wall Panels, custom cut to 2’x2′ or 2’x4′ panel dimensions for dropping horizontally into an existing ceiling tile grid system. – All Noise Control sound absorption ceiling baffles are the best to solve any reverberation problems, in any large space. Our acoustical ceiling baffles are lightweight, Class A fire-rated and available in various colors and sizes to meet any acoustical needs. – All Noise Control Wall Panels are the ideal solution for spaces with reverberant noise problems. Our wall panels can be installed for a variety of applications.